During our first days in Bangalore we got in contact with a group called “Friends of Bengaluru”. We joined them in the evening to load some cars with about 125 blankets in order to give them to the homeless people all around the city.This project has been going on for four years now and the main objective is to help and comfort the homeless during the cold winter months. The ride we took part in was the first one to focus on homeless people affected by leprosy. Our goal was to distribute the blankets and connect with the people to get in information about them like their name, ID, phone number and photo if possible. Due to the lack of information most locals are not aware of the fact that this illness is curable and that they can be treated in hospital. The government makes no efforts to educate and support them – that’s why most of them don’t go through the treatment. 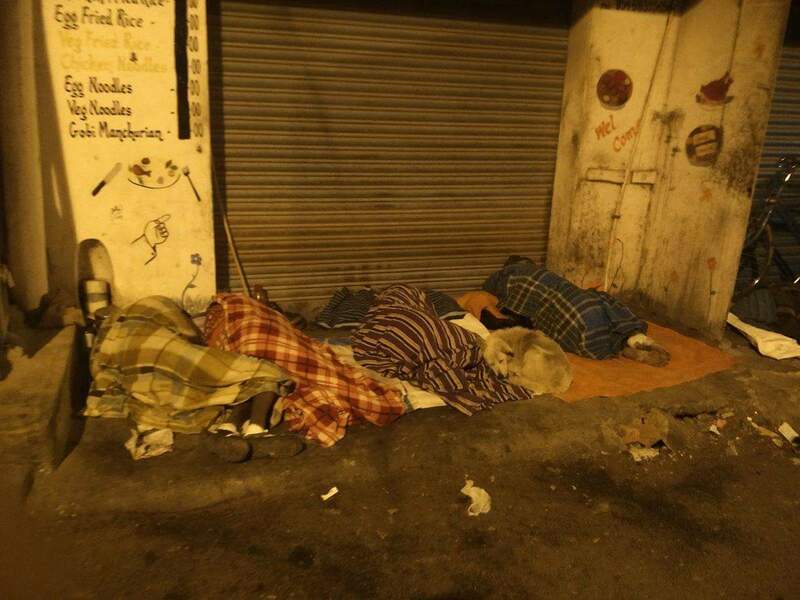 Rejected by society they are forced to live on the street with barely enough to survive. Their isolation continues by being avoided even by other homeless people. “Friends of Bengaluru” plans to collect as much information as possible about the people affected by leprosy that live in Bangalore to cooperate with the local doctors. Once they are registered in the hospital it will be much easier for them to be treated. Hopefully this will raise awareness and help more people to get cured! We only accompanied the project for one night but it was a great experience to see this great organized group going out on a Saturday evening to help others in need. At the same time it was very intense to witness the despair and the horrible living conditions out on the street. Personally I have never seen something like it and it made me realize the extent of this serious situation. ← Spicyroad’s Week in Review #15!